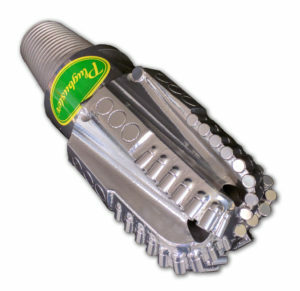 PLUGBUSTER is an industry leading thru tubing milling tool for drilling out frac plugs, sliding sleeves and ball seats. Wellbore cleaning is a key factor in maintaining maximum well production. Scheduled clean out operations remove accumulated solids that could lead to well under-performance. Torquato Drilling Accessories has been in business since 1982 designing and producing our PLUGBUSTER wellbore clean out tools for customers worldwide. We can produce custom sizes from 2.650” to 10-5/8” to meet project requirements. Put our wealth of experience to work for you and allow us to show you how our PLUGBUSTER can increase your efficiency in one simple process. Cleaning top to bottom is no problem for the PLUGBUSTER. The PLUGBUSTER can increase well production by 50% or more! Torquato Drilling Accessories is an industry leader in the design and manufacture of thru tubing tools for tight oil and gas. With the development of unconventional drilling methods we immediately recognized the need for a specialized milling tool to effectively and efficiently drill out composite frac plugs used during the hydraulic fracturing process. Our engineering team developed the now famous Plugbuster for this purpose. Milling out sliding sleeves and frac ports presents many challenges for conventional bits and mills but not for the Plugbuster. The unique tapered design and rugged construction make our Plugbuster the ideal tool for milling our sliding sleeves and frac ports. Time and time again contractors depend on a Plugbuster to do what other bits can’t do. It’s not uncommon for a Plugbuster to mill out as many as 35 – 50 sliding sleeves or frac ports in a single run. Contact us today for more information. It’s our mission to design and manufacture only the finest well completion tools for the growing unconventional drilling industry worldwide. Whether you have (10) or (60) frac plugs to drill out please consider using a Plugbuster. You can depend on a Plugbuster to get the job done right and on time. Take a look at our Plugbuster online or call us at (800)-500-2487 today.